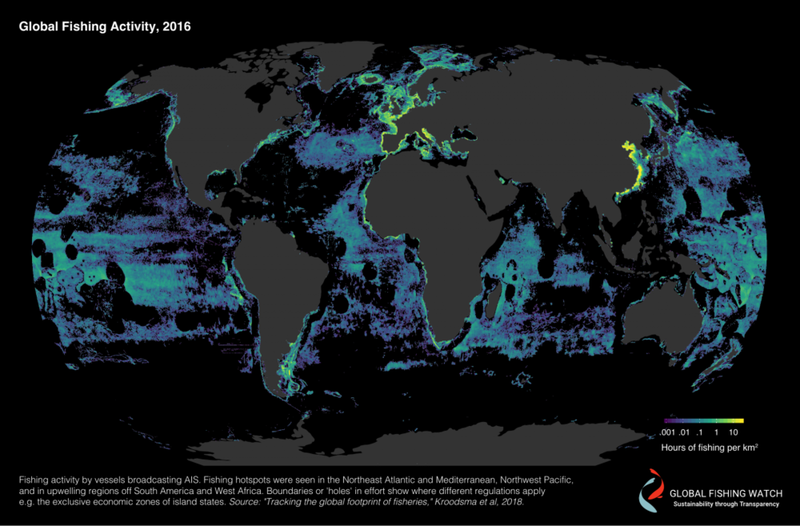 To tackle a study on global footprint of fisheries is quite a task, and to release the dataset to open public access is unprecedented. I have discussed before the limitations of AIS as a compliance tool, but is definitively a good visualization and transparency tool. The recent paper published in Science and the future analysis that could be done form the data set is quite something. AIS is definitively here to stay as fisheries tool. I quote below from the Global Fishing Watch release. The study, produced by Global Fishing Watch in collaboration with research partners at University of California Santa Barbara, National Geographic Pristine Seas, SkyTruth, Dalhousie University, Stanford University, and Google depicts global fisheries with an unprecedented resolution. Below are links to learn more about their findings.